This is perhaps one of the easiest made-from-scratch lip balm recipes. Customers will love the coconut banana flavor! This lip balm is so crazy easy to make that you'll question why you ever bought commercial lip balm at the store. 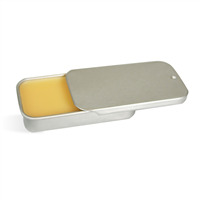 Simply melt beeswax and seventy-six degree melt coconut oil in microwave and add fragrance. Pour into white lip tubes and you're finished! This project creates 12 lip tubes leaving you with a fairly large profit margin if selling at craft shows or online. You Save $9.32 by purchasing this kit rather than buying the items separately. COMMENTS: First time I made lip balm and it was really easy! Now I use this recipe and mix it up by changing the fragrances. Great!!! COMMENTS: This balm is easy to make with enough product left over to make more. I did add a flavored oil to mine since it only had a fragrance supplied. COMMENTS: Love it. Great way to start making lip balms. This is the first time I made lip balm and love wow easy it was. I want to make more. "good basic kit for beginners"
COMMENTS: I bought this kit because it was very well priced, at around $10. 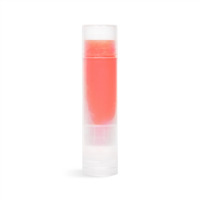 I was in the experimental phase of making lip balms, so it was great that the price was so low. The kit itself is great, but the fragrance oil is pretty awful. It smells nothing like banana or coconut, but smells just like black licorice. I even added a few drops of Saccharine to my batch to see if that would sweeten up the scent/flavor, and it still smells/tastes pretty gross. COMMENTS: This kit is amazing! It was extremely easy to do and the end product is awesome! I made this for family as Christmas gifts and everyone, including myself, love them! Will definitely be making these again. "This would be a great project for young teens!" COMMENTS: This was a great little kit definitely worth every penny I will for sure purchase again, I did add a few of my own butters to it to make it extra special but overall it's a great product. COMMENTS: I bought this kit so that my young step son could make something that I would not be worried about him hurting himself. I made the first batch just to try it myself and now, when he comes over I feel totally comfortable with him making it on his own. This is a great, easy, cost effective way to learn how to make the chapsticks! COMMENTS: Really straightforward instructions. As a beginner I really liked this product. COMMENTS: This is one of my best sellers. Customers love the smell. COMMENTS: This kit contains everything you need when first starting off making lip balms. It is also enough in it that you will have enough product left over to make several more batches of lip balm. The only thing you'd need to buy extra of is the actual tubes. COMMENTS: This was the first time making Lip Balms for me, I loved that this kit made it so easy! The ingredients were all-natural which is a major plus! Laso alot of product is left over if you want to make even more lip tubes so you get alot for what you pay for! my clients loved this lip balm so I am very happy with this kit. You can also color with anything you like since the final product is white it would make a great base for colores balms, specially with glittery micas. COMMENTS: I love this lip balm, easy to make, nice scent, healthy for you. My kids all love it too. "Good afternoon, What amount of sweetener would be added to this recipe? Thanks in advance for your time. -Aye "
Staff Answer This is something you will need to test. Lip-safe fragrances and flavor oils are not meant to be tasted. It is the smell once you apply to lips that tells your brain it is coconut banana flavored. We would recommend adding .5% at a time. Too much sweetener can make the product bitter. "Can I add your powdered Goat's Milk in this recipe? If yes, how much, and do I need to add a preservative? Thank you for your time and help! " Staff Answer This is something you will need to test. We do not feel it necessary to add a milk powder to this recipe and then also adding a preservative. "If you wanted to add a flavor oil to this recipe, how much should it be, and which would you choose?" Staff Answer This fragrance oil is approved up to 3.5% in lip products. We added this at 2.5%. You can use the same amount of another flavor oil as long as it is safe at this percent. 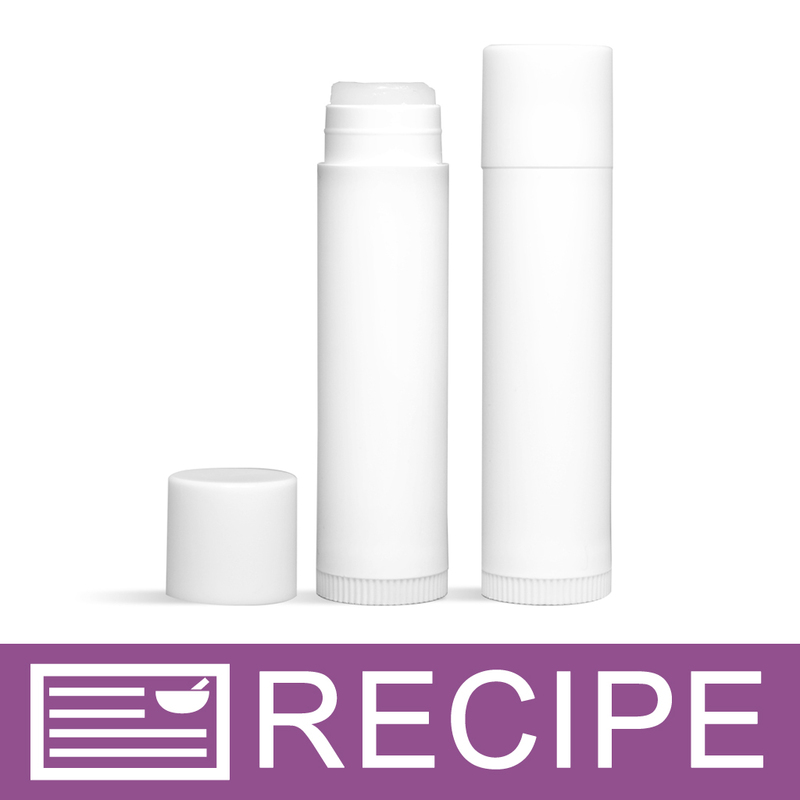 "The oil used here says fragrance instead of flavor oil for the lip balm recipe. Is that a misprint?" Staff Answer No, this is correct. 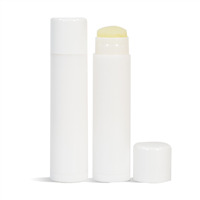 This is one of a handful of fragrance oils we offer that are safe for lip products.